New Delhi: When air pollution is worsening the living conditions in the cities like New Delhi and Mumbai, the state of Uttar Pradesh has recorded the highest number of deaths due to air pollution, followed by Maharashtra and Bihar. Bio-Waste is an alarming issue for air pollution cited Mr Vivek Gupta, Vice President- Research and Operations, TechSci Research in an event organized by The Associated Chambers of Commerce and Industry of India (ASSOCHAM) in New Delhi. Shockingly, Uttar Pradesh, alone, has recorded 2,60,028 deaths due to severe air pollution, followed by Maharashtra where about 1,08,038 deaths are recorded due to air pollution and Bihar, which saw 96,967 deaths. Surprisingly, amid other air polluting matters, the hazardous levels of disposal of bio-waste in open has aggravated the problem by worsening the air quality, he further stated. 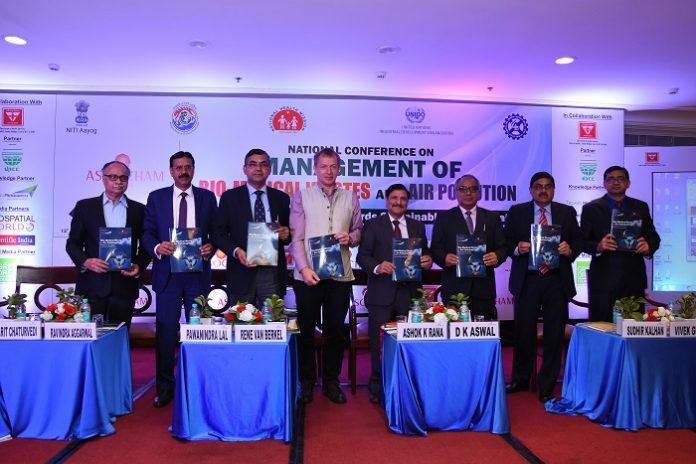 ASSOCHAM released the report titled ‘Bio-Medical Waste and Air Pollution: Emerging Hazards and Better Understanding of Health Risks’ jointly with TechSci Research today in New Delhi in a ‘National Conference on Management of Bio-Medical Wastes and Air Pollution’. The Conference was organised to address challenges and solutions towards sustainable human health. 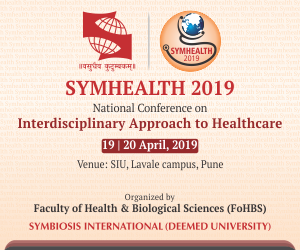 The Report further stated that the expansion of healthcare facilities coupled with the trend of using disposables is leading to an unpreceedented burden of health care waste in India. According to the Report, India generates about 550 tonnes of medical waste in a day and it is likely to reach a margin of 780 tonns by 2022. The Bio-medical waste leads to a higher degree of environmental pollution and serious public health risks. Unfortunately, alone in the year 2017, India registered around 12.40 lakh deaths due to environmental issues, the number which is higher than the deaths caused due to tobacco consumption, the Report claimed. The knowledge report explains that 15 per cent of the Bio medical waste generated is hazardous; which includes materials that were in contact with patient’s blood, secretions, infected parts and biological liquids. When these come in contact with air, the pollutants in the air become one of the biggest killers causing almost two million deaths every year in India. Addressing these serious challenges, Dr. Ashok Kumar Rana, Director General of Health Services, Government of NCT of Delhi, said, ‘Bio – Medical waste is becoming an alarming issue and adding severely to air pollution. The pollution created by bio-medical waste is fatal and its impact is seen. Not only the waste generated by various health care institutions; but also the waste generated from residences is proving to be hazardous. The Government needs to set some guidelines for creating general awareness among the people”. Putting forward his concern for Young India, he added, “About 60 per cent of the Indian population is young and taking in account the higher rate of environmental pollution and incidence of communicable and non-communicable diseases, in the next 20 years, India would be struggling with the expenses of health care”. The government is realizing this disastrous situation and has advised the waste treatment facility providers to establish a bar coding and global positioning system facility for handling biomedical wastes. India’s policy framework for Biomedical Waste Management also needs a proper implementation strategy. Data discrepancy is highlighted as one of the major road blocks along with other reasons such as a lack of concern, awareness and the cost factor. The data related to bio – medical waste should be updated along with the annual report, stated the Report. The Report insisted that various monitoring bodies should make a strict timeline for healcare visits and CBWTFs regularly for on time data updation. The State Pollution Control Boards should immediately shut down the on-site incinerators installed in the country and provide directions to the health care facilities and veterinary institutes.